THE BELOW POST IS THE ORIGINAL POST. I AM EDITING THE INITIAL ONE SO WE CAN POST UP PICTURES AT THE BEGINNING OF THE THREAD. Just curious if this prototype is going into production at all and if so, what is the ETA? Looks to be a good option to be able to switch the KB and pack harnesses for a single solution. In the mean time some more pics would be awesome. From there it went to another guy who is currently evaluating it. Kevin wasn't of the opinion that it was a "must have", even for running, so we've held off on getting it into production. We'll see what the second evaluator thinks. We haven't followed our usual course with the Runner's harness because we don't do that much running ourselves and wanted it to get a good shake out in the hands of guys who would put some honest miles on before pushing it out to production. From what I read in the review Kevin Timm seemed to be quite positive, though. Interresting to know if he had a chance to compare the regular harness with the prototype. Anyway, I'll keep an eye out for the next prototype review. I've been trail running with the Tara and with the RKB and they both work great seperately. When I use them together I get some binding under my arm and on the top of my shoulders. It feels like there's jut too much going on there with both harnesses doubled up. I think a single harness would be more comfortable. I hope the runners harness makes it to market, but if it doesn't then I'd like to buy your prototype. That is great feed back. Frankly the more we hear that folks are interested in something like this the more likely it is to make it into production. If it helps any, I would also be interested also. I'm not really a runner, but there have been a few situations I've come across already where a one piece harness would have been preferable to me. 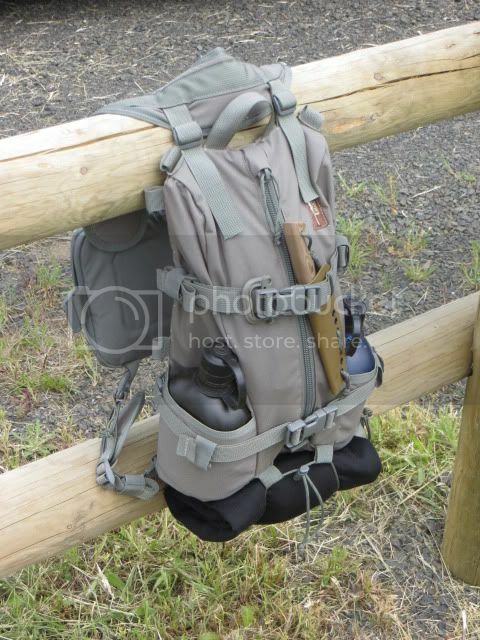 I'd have to see the exact details of the Runner's Harness design but I'm almost positive I'd be down for one to swap in and out with my Tara & Highlander when using the Kit Bag. 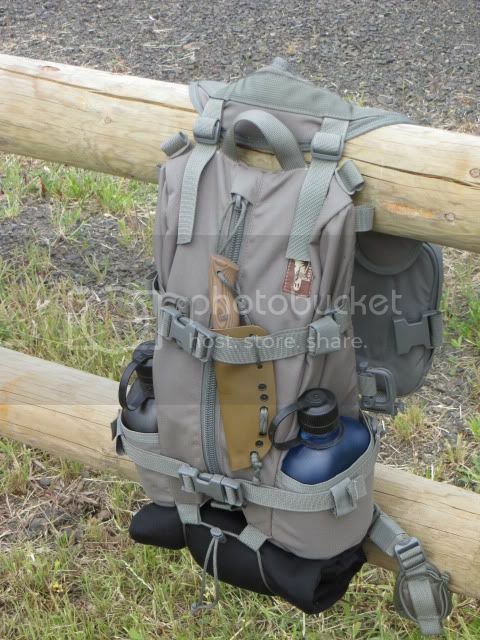 As a smaller guy (5' 10" and ~165lbs) I have noticed the same thing with the straps and harnesses from the Tarahumara and Kit Bag sort of bunching up on top of each other. From looking at pics this doesn't seem to be an issue for bigger guys. I've not had any issues to speak of with chafing or anything, but I've not been on any hikes longer than about 10 miles and I was wearing multiple layers at the time. It's definitely noticeable though. You can kind of see what happens here in this pic below. Basically, the buckles on the harness and the buckles on the Kit Bag end up bunched together, and if I wear the Kit Bag up higher the two harnesses can actually get in the way of each other. Like I said, it hasn't been a real issue yet but if I were running with this setup my guess is the buckles rubbing could be more of a problem, so I thought it worth mentioning with respect to a possible runner's harness. I like the runners harness a lot. I also like them individually a lot and have found myself most often running with just the Tara. I think, if you permantly want your KB docked to the tara, then the runners harness is the way to go. I like the flexibility of the individual components. 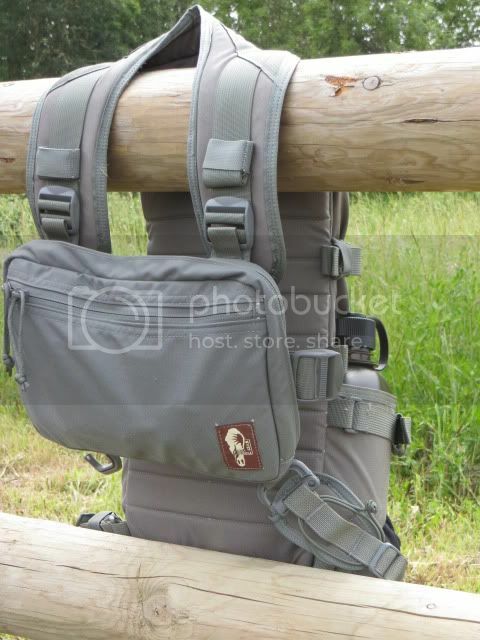 I don't live in an area where I feel I need to carry very often, and if I did I would have them together, and then another KB for usage with other packs. Evan sent me the runners harness this week, to put through some more testing. My 1st impression is very good. I will be doing some comprehensive testing with the harness and also do some comparison of the Tara with the runners harness to the Ultimate Direction SpeedDemon, a vest style pack that I had a lot of input in on the design some 14 years ago. I have used the SpeedDemon (not to be confused with a later pack, that wasn't a vest style of the same name from UD,) for many long adventure runs in all seasons and also used it in a number of ultramarathon races. My situation is somewhat different from Kevin's, where I have a large grizzly population most anywhere I run. My wife and I, seldom run or hike with out both of us carrying titanium .41 mags. The HPG RKG has been about the only way I have carried since getting it shortly after they were released for sale. I will be paying attention to whether the RKB will be too hot for hard running in hot weather, but so far that hasn't been an issue. I will post my findings as I gather information on the review thread that Kevin started. I'm new here, but I just wanted to throw in that I too am interested in the runners harness. Although I run, I have no plans to run with this item because there is really no need for me personally. 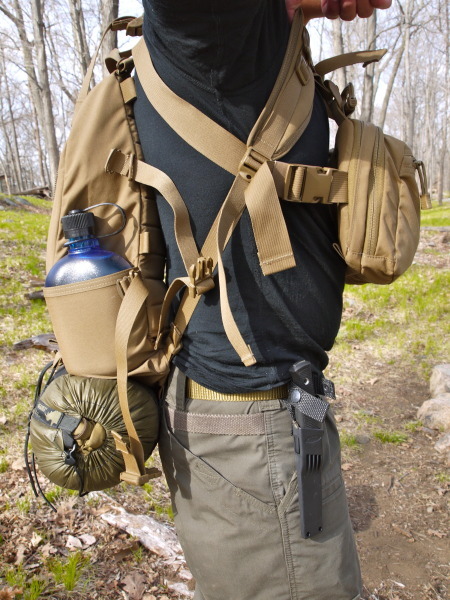 However, I am mostly interested in this for hiking, camping, and other possible adventures where I would like to have the kit up front in a comfortable way. I live in the desert and the thought of adding another harness and another layer of straps, etc is not appealing. I'm ready to pull the trigger on the Tara pack, but was waiting for this to purchase at the same time. Since its still in the testing stages it sounds like we could be waiting a while longer....but just know that you have another buyer here as soon as they are available. Quick update on the runners harness. 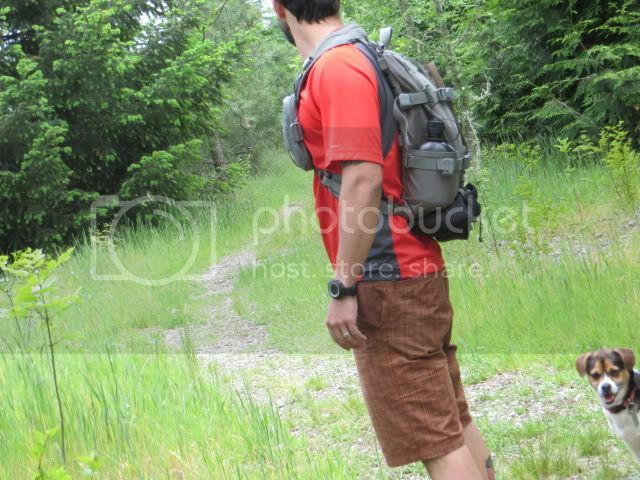 I have done several trail runs and several hikes with the Tara-RKB and the runners harness. I am very impressed. There is no flopping of either the Tara or the RKB and the tension straps allow some freedom of movement. 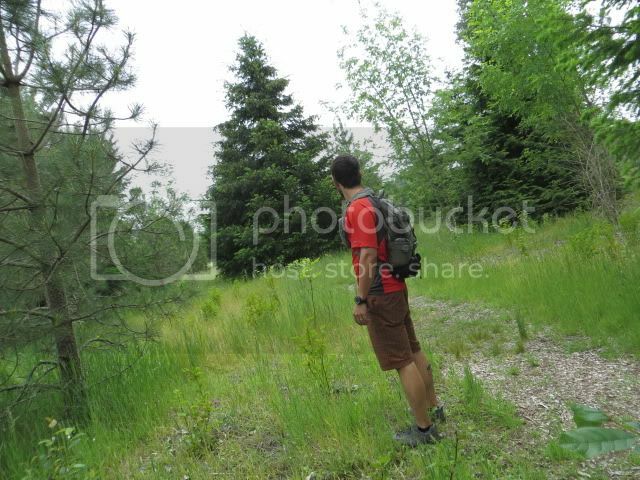 I did one steep downhill run trhough loose scree and the pack was as though it were a part of me. 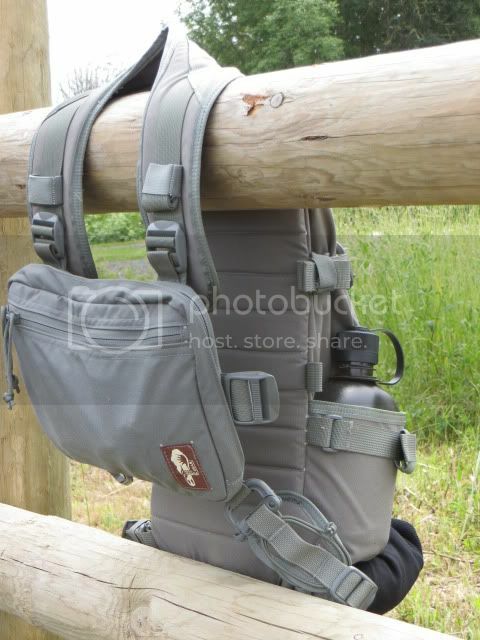 The pack/kit bag/harness is easy to put on. I just release one Grimlock from the kit bag, slip my left arm and head through the harness and attach the Grimlock, then adjust the tension. I'll get some photos of it in action and also do a more complete review including a comparison to the Ultimate Direction pack I have used for years. I'll end by saying, that given a choice, I would use the runners harness any time I used the Tara. Slightly Off Topic, but perhaps relevant, given the name of the pack, and the running tilt to the harness. Cabello Blanco (Micah True) known for his participation in the "Born to Run" book, and also the organizer of the copper canyon ultra, who was known for living with the Tarahumara died during a run in the Gila WIlderness in March. Photo of the Tara from a run this morning. I left before the sun was up and was going up a couple thousand feet, so I had a couple jackets, and water bottles, plus standard hiking stuff. It worked excellent. It was sort of my tribute run to Caballo Blanco , as running with the Raramuri in the Copper Canyon Ultra was on my bucket list. I shot a quick photo on the way down. Fantastic picture Kevin. I'll be there soon. There was a really good article on BBC online about Caballo Blanco a couple of weeks ago. We've issued purchase orders for production on the Runner's Harnesses in all three standard colors, so they're on the way. Ed, really looking forward to your comparison with the UD pack when you get the time. Great news, the Runner's Harness going into production! Still looking forward to see pictures where we can see the actual harness and the way it connects to the KB. Really happy to hear the order is in for these! My new Tara just arrived today and I spent the last hour re-organizing and transferring all of my stuff to it. I can't wait to take it on its first urban adventure tomorrow! I think the Runners Harness is going to be a great addition to it. Is it safe to assume that all of the kit bags will be able to work with the Runners Harness? Sorry we didn't get back to you sooner on this one. I missed it myself. Yes the harness will work with all the kit bags.